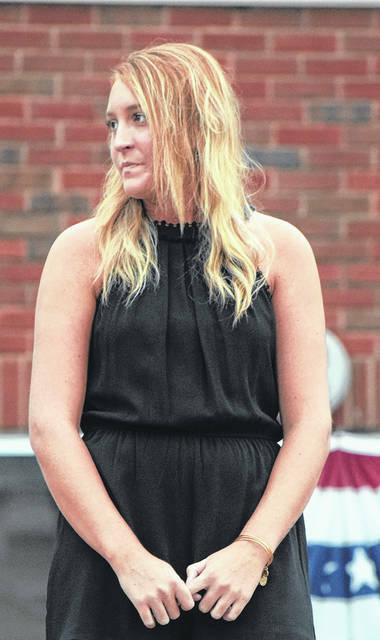 Emily Dempsey is Lewisburg’s Bicentennial Queen. 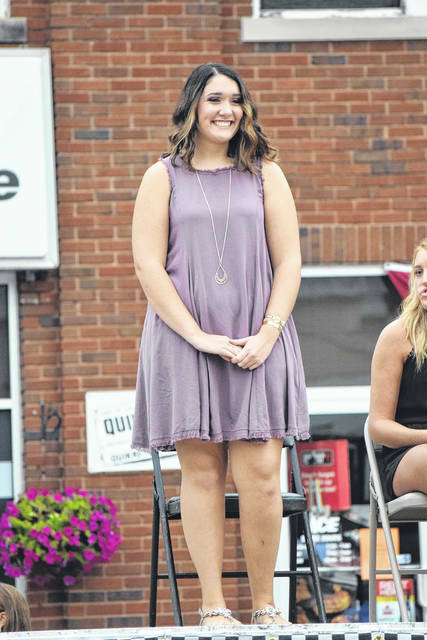 She was crowned by Lucinda Eddleman, who was the Sesquicentennial Queen, after a contest on Friday, Aug. 17 during Derby Days. 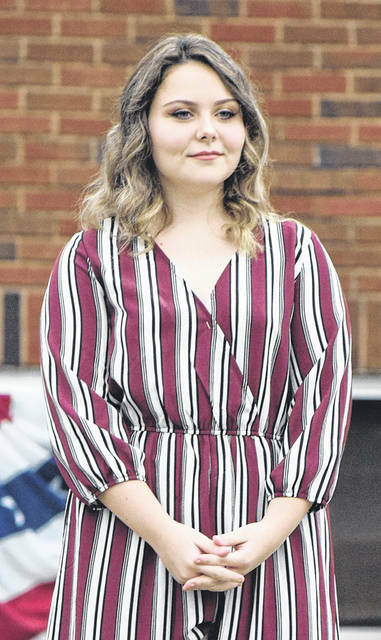 LEWISBURG — Emily Dempsey was chosen last week to be Lewisburg’s Bicentennial Queen. 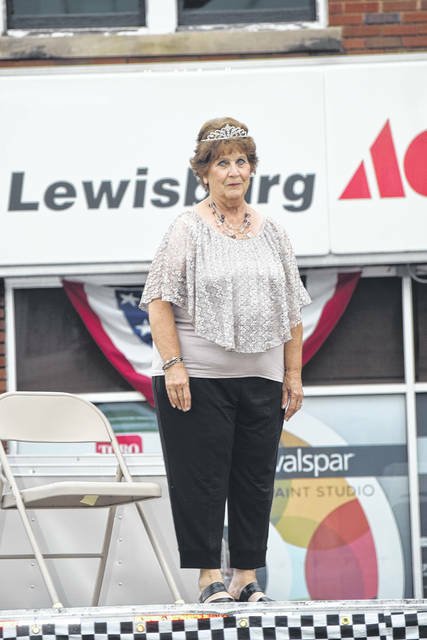 Dempsey was crowned by Lucinda Eddleman, who was the Lewisburg Sesquicentennial Queen, after a contest held Friday, Aug. 17, during Derby Days. According to Village Administrator Jeff Sewert, Eddleman returned for one of the bicentennial events and asked the committee if they were crowning a queen — which is what gave them the idea to host the competition. “Through our planning committees and meetings, Lucinda had always been talked about. 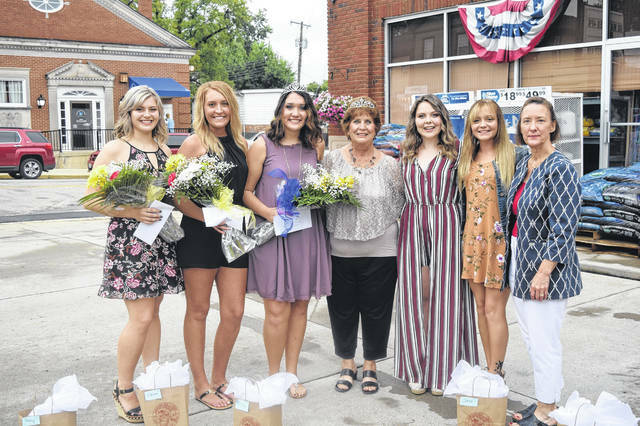 She was the one who sparked the idea for the competition and we decided to hold it on Derby Days, so the winner would have three weeks to go to different events,” Sewert said. The queen contestants were asked to submit an essay and then interview, before taking the stage on Friday to introduce themselves to the crowd. Candidates were required to be 18-26 years old. First place won $100, runner-up received $75, and third place winner received $50. Eddleman also had the opportunity to introduce herself to the crowd. She came to Lewisburg in 1956 and graduated in 1960. For Lewisburg’s 150th birthday, she was crowned the Sesquicentennial Queen in 1968. She is 76 years young. She graduated, married, and raised four children in Lewisburg. Dempsey was announced as the Bicentennial Queen, after it was noted all the girls were “spectacular candidates.” Dempsey is 19 years old and is a student at Sinclair Community College, studying for her Associates Degree in Nursing. She wants to attend Ohio University to obtain her Masters in Nursing. She enjoys traveling, shopping, playing her ukulele, spending time with friends, and being a part of the Lewisburg Baptist Church and the junior high cheerleading program. “I was kind of surprised to win. I feel like Lewisburg held a special place in everyone who was up there’s heart. We all shared the same interest in it and it met a lot to all of us. When it was my name announced, it made me think of the next 50 years and what I will be like when the next celebration comes around,” she said. 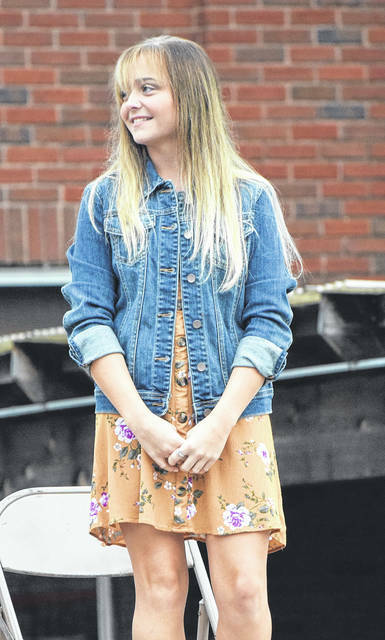 https://www.registerherald.com/wp-content/uploads/sites/41/2018/08/web1_Queen8.jpgEmily Dempsey is Lewisburg’s Bicentennial Queen. 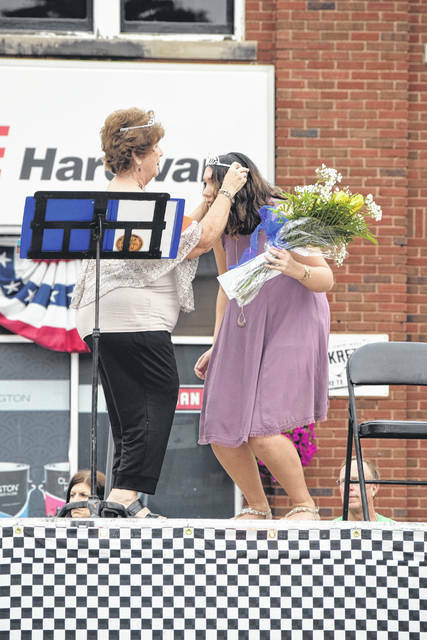 She was crowned by Lucinda Eddleman, who was the Sesquicentennial Queen, after a contest on Friday, Aug. 17 during Derby Days.